Superannuation Administration (Smartsuper and SuperIQ). Superannuation software design (Class Super). Manufacturing (marine products and surf equipment and manufacturing in China). Engineering (ignition systems for engines). Accounting (traditional tax accounting, management consulting and business advice firm). Rural Property and food production (cattle cropping and currently developing intensive agriculture indoor vertical farming). Throughout his Executive career, Andrew has worked on a range of Senate and Treasury Committees, and with the Australian Taxation Office (ATO) Regulations Committee on regulation for the superannuation industry. In 2016, Andrew sold his superannuation administration business to AMP, stepped down from the Senate and Treasury Committees and is now focussed on contributing to organisations as a Non-Executive Director. 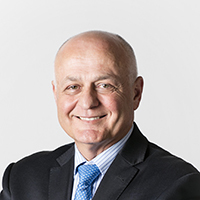 Mr Walsh has been an international partner and advisor for 35 years in assurance and advisory services, with previous roles held at both Ernst & Young and Deloitte in Australia, PNG, South Korea and the US. During his career, he has acquired experience in Superannuation, Asset Management and Trustee Services, including assurance, operational due diligence, strategy, risk, compliance and governance. 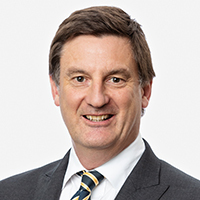 Mr Walsh holds a Bachelor of Commerce from Melbourne University, is a Fellow of the Institute of Chartered Accountants and the Governance Institute as well as being a Graduate Member of the Institute of Company Directors. He is currently a Director of The Royal Australian College of General Practitioners and was formerly a Director of State Super Financial Services Australia Limited and Hastings Funds Management Limited. He is also a Director of Surf Life Saving Australia Ltd and Chair of the National Surf Life Saving Foundation. Ms Flynn has more than 30 years' experience in the financial services industry, including roles within law and corporate governance as well as executive responsibilities. From 1998 to 2010, Ms Flynn was the Chief Legal Counsel, Group Compliance Manager and Group Company Secretary of financial services group Aviva Australia, and a director of NULIS Nominees, Aviva Australian's superannuation trustee company. Prior to her time at Aviva, Ms Flynn spent 18 years as a commercial lawyer with Minter Ellison, including 8 years as a partner, specialising in managed funds, banking, securitisation and superannuation. Ms Flynn was a director of Bennelong Funds Management Limited from 2010 to 2015. Ms Flynn also has a part-time role as General Counsel & Company Secretary of Save the Children Australia. # On 19 June 2018 the Questor licence was cancelled by APRA following the wind-up of its RSE effective from 30 June 2016. Mr Selak has over 40 years’ experience in the financial and advisory services industry. From 2000 to 2016 he was a partner in the Corporate Finance Practice of Ernst & Young, providing valuation services to a broad range of local and international clients and also serving on their Global Corporate Finance Executive. In addition to his business and commercial activities, Mr Selak has been active in the community and not-for-profit sectors including being awarded a Paul Harris Fellowship by Rotary International for his services to the community. Mr Selak is also a founding director of The Family Peace Foundation. The appointment of Mr Selak will ensure that the board maintains its corporate finance, M&A and governance skill set and complements existing Board expertise and business acumen. 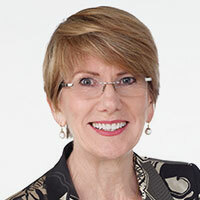 Karen is a Brisbane based non-executive director and consultant with significant and broad experience in the financial services industry. Building organisational capability and promoting a customer focused culture, positioning the organisations for growth and developing ambitious member centered strategic objectives were key achievements as CEO and as non-executive director. Karen has worked with Trustees, asset consultants, investment managers, government and unions to improve the financial security for members and investors, and as a consultant, uses this experience to support organisations in developing effective governance and investment frameworks, planning and change management. Karen is on the board of Nambawan Superannuation Limited and International House (UQ) with previous experience on the boards of OneVue Holdings and MAP Funds Management. Karen has worked with microfinance organisations in Cambodia and Red Cross Refugee Support in Australia and is qualified with GAICD, MBA, BSc and Diplomas in financial services.